Chatham has a beautiful, pedestrian-friendly main street. Some of the best seafood around. A storied summer baseball team and theatre, museums, restaurants and inns. But honestly, you come for the beach! Dogs are not allowed from May 1st to September 15th of each year in beach areas, with the exception of seeing-eye animals, and police K-9 animals. Exception is Pleasant Bay (Jackknife), North Chatham - DOGS ALLOWED ON BEACH BEFORE 9:00a.m. AND AFTER 6:00p.m. For Beach and Parks Rules and Regulations, please click here. Six major saltwater beaches welcome visitors with views of Nantucket Sound and the Atlantic Ocean. The most scenic by far is Chatham Lighthouse Beach. Chatham Lighthouse Beach sits below the watchful gaze of Chatham Light, an active lighthouse at the Coast Guard Station that aids in the navigation of Chatham Waters. Though typically closed to the public, Chatham Light is occasionally open to tourists during the summer months. Admission is free. 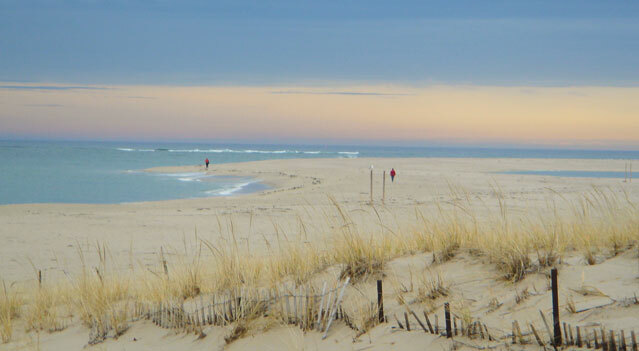 Below is the ever-changing landscape of Chatham Lighthouse Beach, the largest in town. Only half a mile from downtown, this beautiful expanse of sand offers nature walks out to southern Monomoy Island plus views of the daily migration routes of Chatham's many seals and fishing boats. The waters of Lighthouse Beach are dynamic. The strong currents and tides are influenced by wind and weather conditions. The strength of the current at Lighthouse Beach is significant. It is most dangerous at the south tip of Lighthouse Beach which is closed to swimming. The beginning of the no swim area is marked by signs posted on the beach. Please read and pay attention to all signage. The signs are there to educate and protect the public. Lighthouse Beach is not guarded by lifeguards. It is swim-at-your-own-risk and is open in most areas. The beach is monitored by beach/boat patrols. The patrols are there to assess the beach, educate the public, prevent and respond to emergencies. The beach/boat patrols are not there to guard you or your families in the water. A flagpole at the top of the stairs leading to the beach and a second flagpole on the beach below the parking lot warns the public of dangerous conditions. The red flag means swimming is PROHIBITED in all areas. The Lighthouse Beach patrols run from 9:30 am to 5:30 pm daily June 22 through Labor Day weekend. 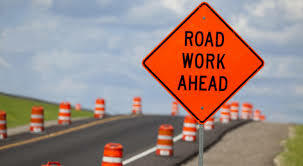 Bridge Street Parking for Lighthouse Beach Please be aware that new parking requirements have been implemented for all vehicles which are parked along Bridge Street in order to access Lighthouse Beach. All nonresidents and non-taxpayers of Chatham will be required to purchase a Chatham Beach pass and display on their vehicle in order to park along the Bridge Street road shoulder. The area of parking restriction extends from the east side of Mitchell River Bridge through the eastern extent of allowable Bridge Street parking. These parking passes will be required beginning June 21 through Labor Day from 9:00 AM to 5:00 PM. Vehicles of residents and non-resident taxpayers must display a current standard annual Chatham sticker (Beach, Transfer or Recycling stickers). Please note that this requirement does NOT include parking at the Lighthouse overlook which is still available to all vehicles for short term (30 minutes) parking only. Violations of these parking restrictions are subject to a $50 parking citation. Harding's Beach, West Chatham, in the warmer, calmer waters of Nantucket Sound. With two parking lots, three life guard stations, a bathhouse with shower and food service trucks in each lot, Harding's is Chatham's most family-friendly beach. You'll find more than enough room for long walks, a game of beach bocce (a favorite among the locals), frisbee or a world-class sand castle. You will enjoy view of Stage Harbor and Oyster River, Bucks Creek and Monomoy. Good bird watching. Lifeguards: 9:00 a.m. - 4:30 p.m. during the season (June 21 - September 1). Located between Harding's Beach and Cockle Cove, with Buck’s Creek and Eel Creek on either side, very scenic, short walks, seasonal snack bar. Facilities: Portable Restrooms, Ridgevale Beach Snack Bar & Store and Nauti Jane’s Boat Rentals. An interesting Nantucket Sound Beach with tiny waves located on Cockle Cove Road; the first major road on the right off Route 28, after the Bassett House Visitor's Center going toward town. It's very popular for children because there are warm waters, calm protected swimming areas with shallow areas; a nice walking beach with a lovely bridge. located within walking distance from town, very scenic views and picnic tables. Nantucket Sound Beach, small family beach, mostly visited by local cottage owners. Sheltered cove for children, warm, shallow water, nice views of the tide in the meandering cove of the Jacknife (shaped like a jackknife), at the border of Harwich, lovely sweeping views across Pleasant Bay. Good kayaking nearby. DOGS ALLOWED ON BEACH BEFORE 9:00a.m. AND AFTER 6:00p.m. End of Pleasant Street, similar to Forest Beach, easy walks across to Red River in South Harwich, family beach. Swimming lessons and Red Cross instruction are provided by the Park Department. Call (508) 945-5158 for fees and schedule information. Visit our town landings indicated in the Chatham Guidebook. You may want to visit these wonderfully scenic areas to watch the sunrise or sunset. These peaceful viewing spots include: Cow Yard, Strong Island, Scatteree, Crows Pond, Fish Pier, Vineyard Avenue.